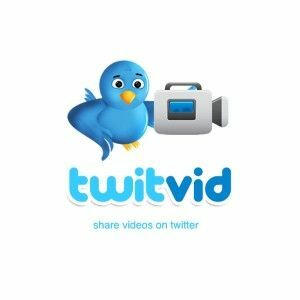 Twitvid has decided to make a major change to their video sharing service. In fact, they are taking it in a completely new direction. Now, instead of being a repository for users to upload videos, it has become a complete video-sharing platform. Instead of only posting videos you have created, you can share videos from around the web, such as YouTube and Vimeo. They are looking to expand to more providers in the future. The idea is to find and follow other users who are posting interesting and exciting content. Where Twitvid differentiates itself is in the creation of “subchannels.” These are channels that users create that are followed independently of that users overall account. If you have a group of friends who are only interested in a certain type of video, you can create a channel, and direct them to follow that channel only. Twitvid hopes to become a place for users to watch and discuss videos at the same time. They have implemented a system for users comments to appear along with the video, to facilitate discussion. The end game here isn’t going to be to beat YouTube, because there is no one out there who can contest them now. Rather, this is a place where videos from other services can reside in a social setting. Holy Cow. 4 days and you have not even corrected a mistake of this gigantic level? Yash, it does indeed look as if Dave has made a mistake here. It has just been brought to my attention and I will ask Dave to address the error as soon as possible. Uhm You do know that Twitter doesn't own Twitvid? I'm quite sorry, I seem to have screwed up here big time. There will be a corrected post ASAP. Thanks for pointing out my blunder here! I certainly apologize. Interesting to see all the mobile video sharing apps that are entering the market and all with different unique features. Snipper offers channels as well but we also offer group channels, private/public channels and many other features. Hopefully we can get mentioned some day soon! It would only truly work if non account holders can view videos the way that YouTube videos can be. You can give Snipper App a try for that, no account needed. Most tools want you to set up an account so they can store all your favorite settings. Snipper has public/private channels and now has group channels as well.